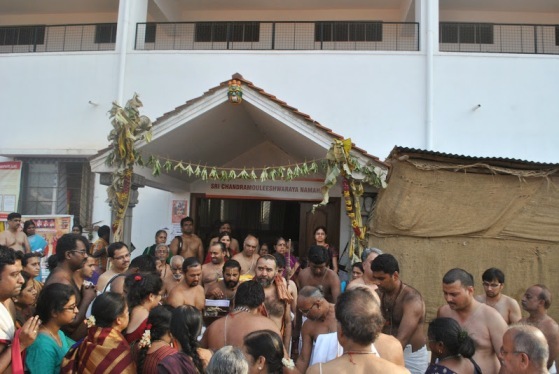 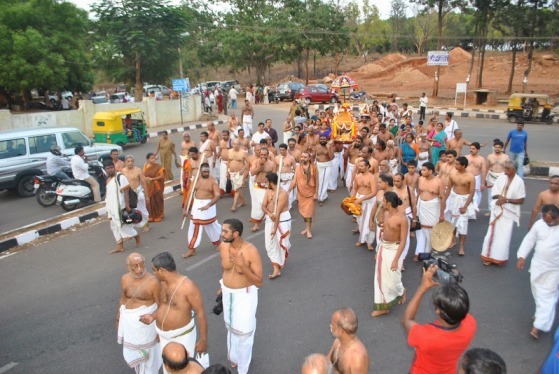 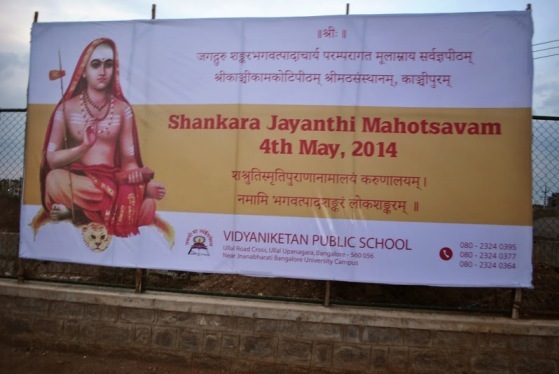 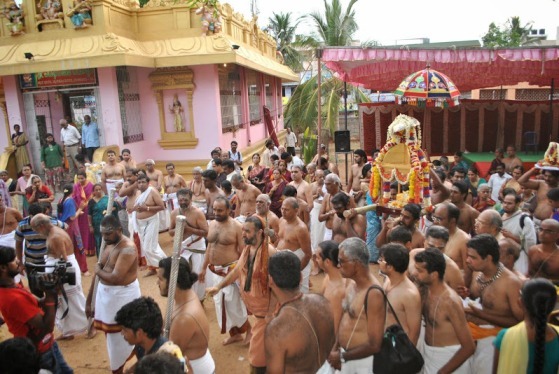 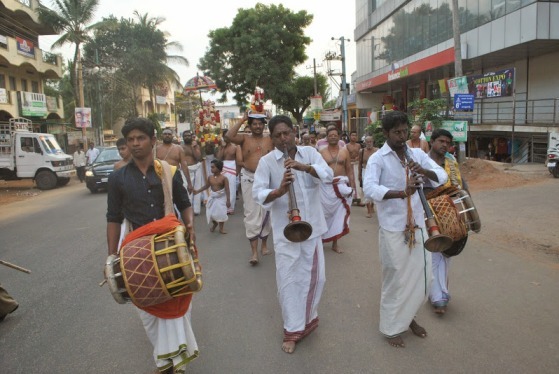 Shankara Jayanti Mahotsav commenced at the Vidyaniketan Public School, Ullal - place of camp of Their Holinesses in Bangalore on 2 May 2014. 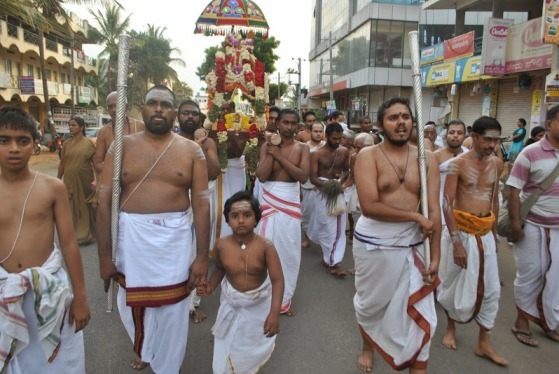 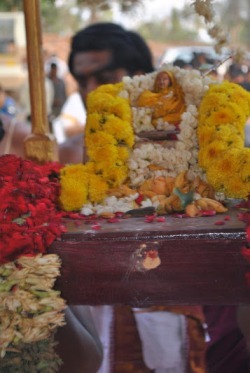 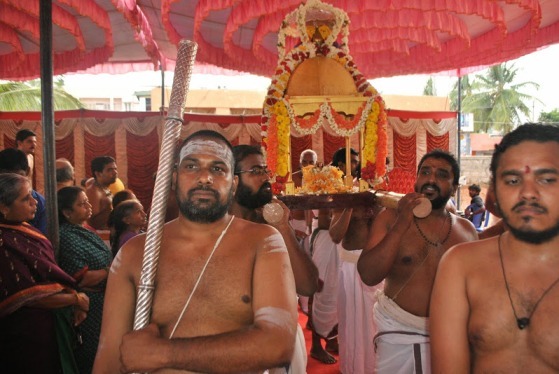 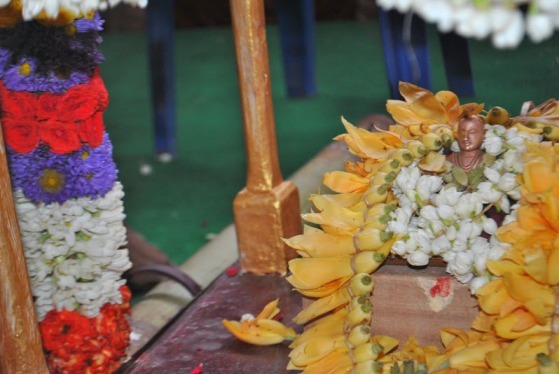 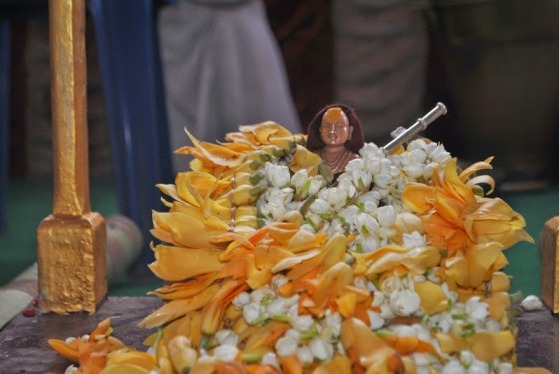 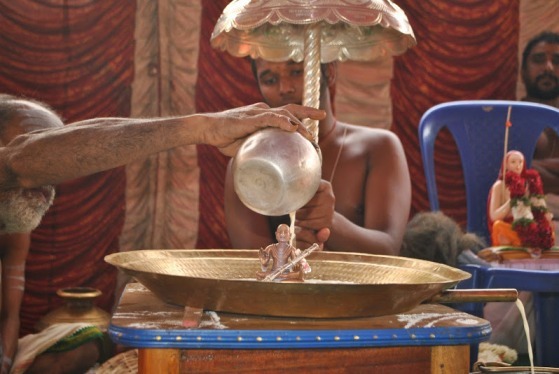 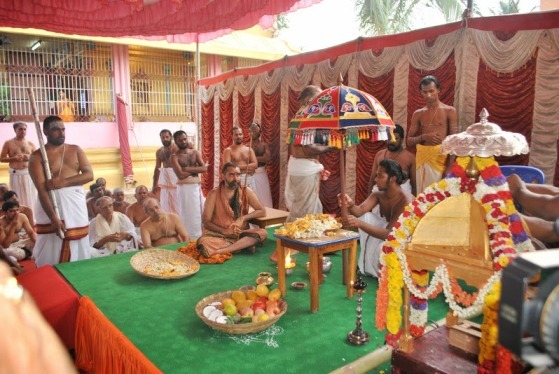 On the Jayanti Day - 4 May 2014 , the Avatara Ghatta Parayana of the Acharya was performed after the Nitya Chandramouleeswara Puja. 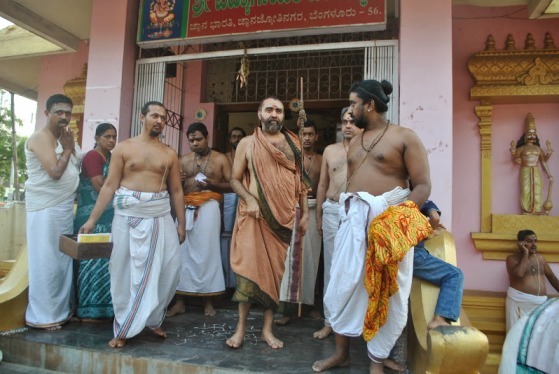 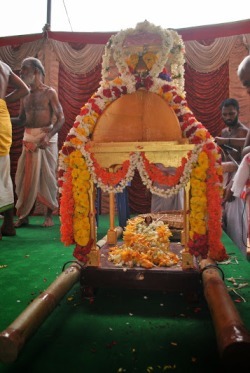 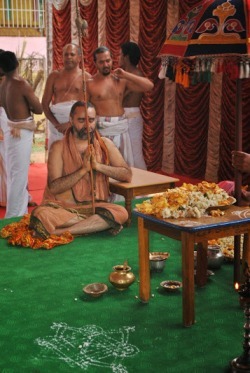 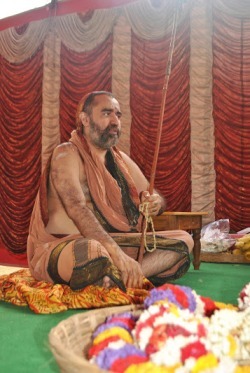 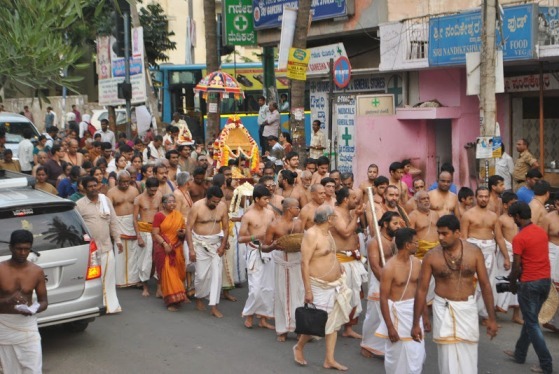 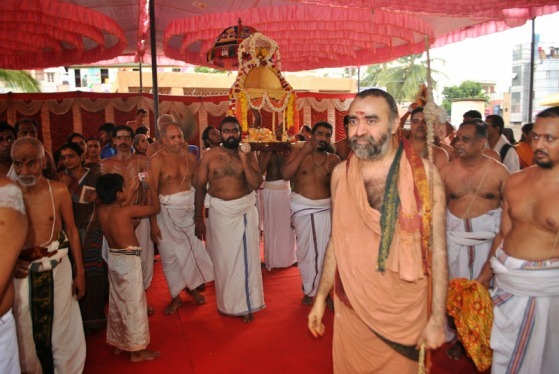 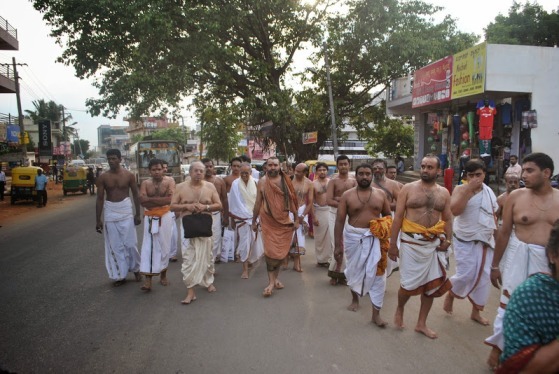 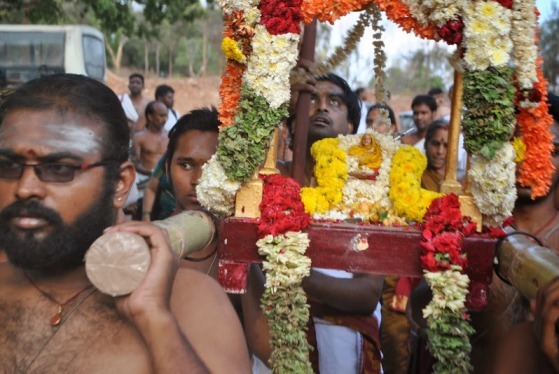 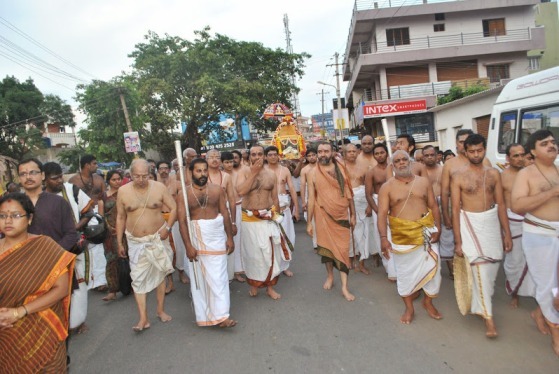 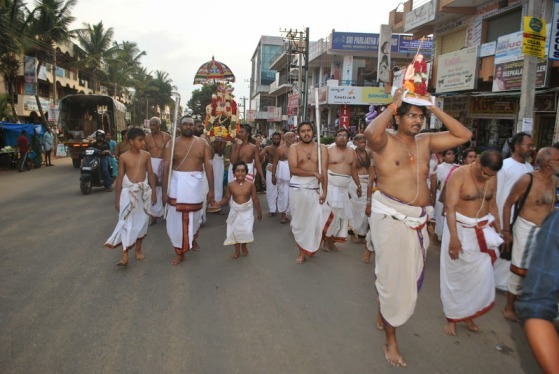 This was followed by Anugraha Bhashana of His Holiness Pujyashri Shankara Vijayendra Saraswathi Shankaracharya Swamiji. 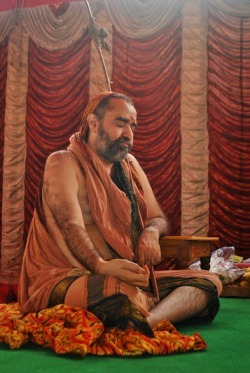 In his Bhashana, His Holiness pointed out the momentous work done by the Acharya in a very short span of time. 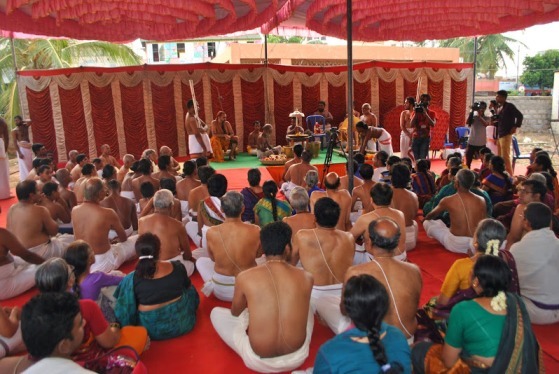 As per tradition, the Veda Poorti Pariksha Certificate Distribution was held in which students completing the Vedic courses are awarded completion certificates. 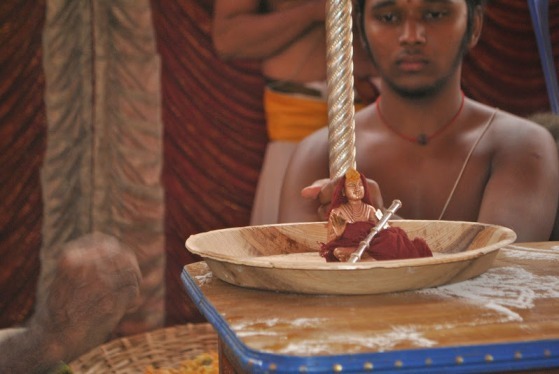 (See here for full details of the event).